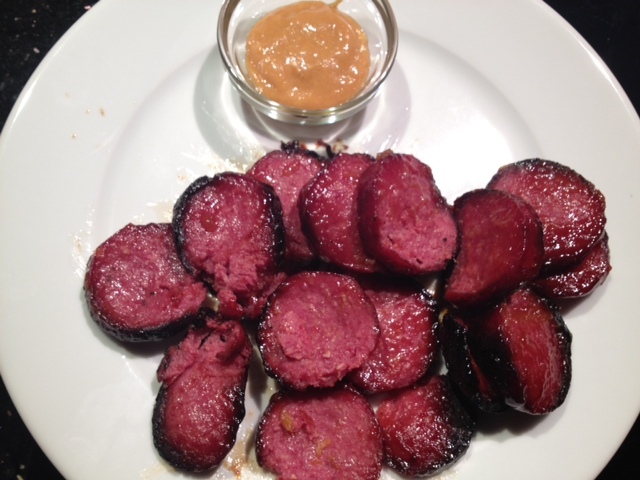 Baked Salami With Spicy Honey Mustard & Apricot Preserves. I am obsessed with reality TV, especially reality TV on Bravo. If you are too, you probably watch The Rachel Zoe Project. 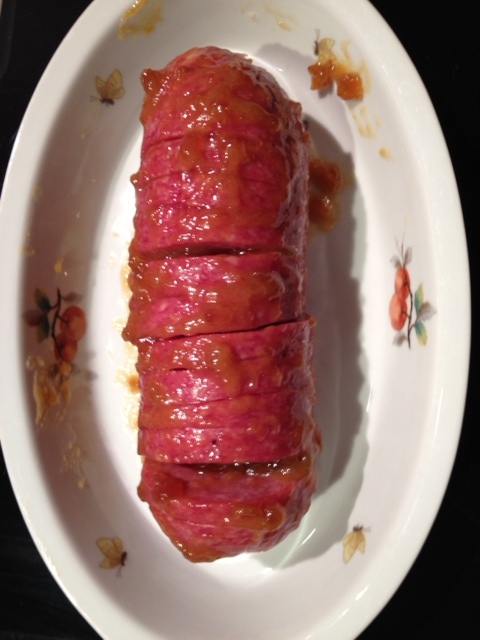 On last season’s finale episode, Rachel hosted a dinner party at her house and made her famous baked salami which she said was “kinda the most delicious thing ever” and referred to as the “crack” of salamis. Well, she was right… it is ba-na-nas. 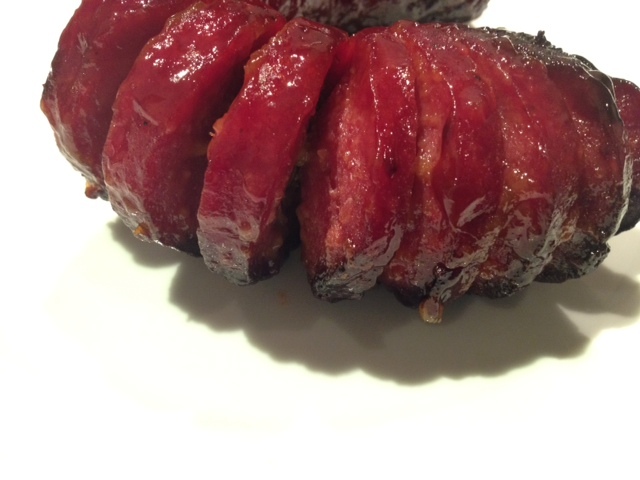 I found similar recipes online on a fellow RZ lover’s blog as well as one on Epicurious, so I used those recipes and adapted them slightly for this baked salami. 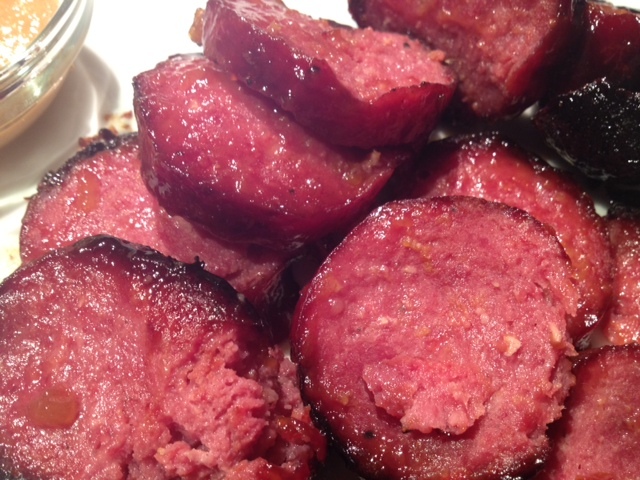 You must try this salami. It’s so good. I die. You can see a video clip from the Rachel Zoe Project where she makes her famous salami here. 1 salami serves ~4 people. Mix the apricot preserves and honey mustard together in a bowl. Cut slices into the salami but don’t cut all the way through, leave them attached at the bottom. Put the salami on a baking dish and use your hands (it gets messy) to rub the mustard/preserve mixture into the meat and in between all the slices. Bake in a 375 degree oven for ~1 hour, taking the salami out every 20 minutes or so to rub more of the mustard/preserve mixture as well as the drippings in the baking dish onto the salami. 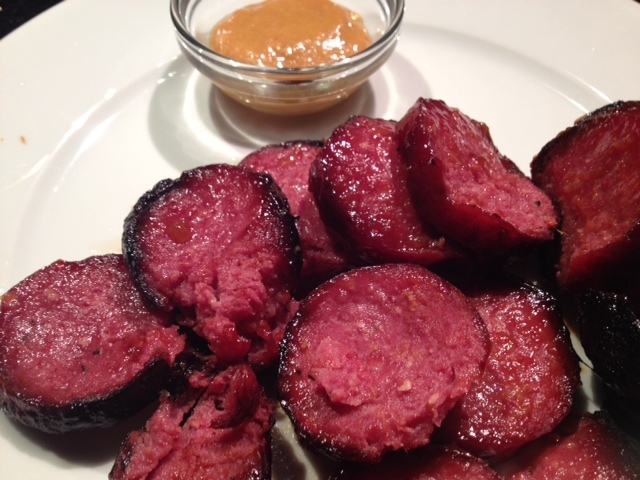 Once the outer skin of the salami is slightly browned or blackened, allow the salami to cool down for about 5 minutes and then cut the slices off and serve with a side of the remaining spicy honey mustard. Can you make this in advance and heat it up day of party? I would definitely make it the day of the party – it will be much better being served fresh out of the oven! You can prepare it the day before let it marinate overnight then just pop it in the oven. what is a good bran apricot preserves and spicy honey mustard?